The Texas attorney general filed a lawsuit on Friday against San Antonio and other officials over the city's sanctuary city policy, which violates state and federal immigration laws. Attorney General Ken Paxton's lawsuit filed in Travis County asks for an injunction, civil penalties, and fees to be imposed on the city for violating the state's Senate Bill 4. The lawsuit names the city of San Antonio, the city manager, Police Chief William McManus, and the San Antonio Police Department as defendants. The Texas Legislature passed Senate Bill 4, which prohibits sanctuary city policies throughout Texas and took effect on May 3, 2017. SB 4 prohibits local entities including police departments from enforcing or endorsing policies that limit enforcement of immigration laws. Four months after SB 4 took effect the San Antonio Police Department and McManus failed to cooperate with federal immigration officials in a Dec. 23, 2017, incident of a suspected smuggling operation. Twelve suspected illegal immigrants found in a trailer were released without even a background check. "Chief McManus asserted jurisdiction over the investigation under the state smuggling statute, advised officers at the scene that SAPD would be handling the case locally, and stated that HSI agents were not to be involved in the case," the lawsuit states. The lawsuit also said that McManus "personally called an immigration attorney from an advocacy organization that provides immigration legal services to the scene during an active investigation, transported the suspected aliens to SAPD headquarters, ordered the release of all of the suspected aliens without so much as a routine background check, and prohibited HSI from enforcing immigration laws." Additionally, the police chief and his department did not contact Texas Child Protective Services to investigate the safety of a minor who was part of the smuggling operation. The current locations of the suspected illegal immigrants are unknown. 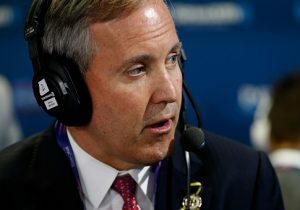 "Senate Bill 4 guarantees cooperation among federal, state and local law enforcement to protect Texans," Paxton said. "Unfortunately, some municipalities, such as San Antonio, put the safety of police officers and the public at risk by defying state law. The court should grant our request for injunctions and civil penalties against San Antonio to send a message that all Texas cities must obey the law."